Rouge Amoeba Piezo is a type of application that makes it easy for you to record audio applications from any inputs. Any input can be the likes of earphones and headphones. 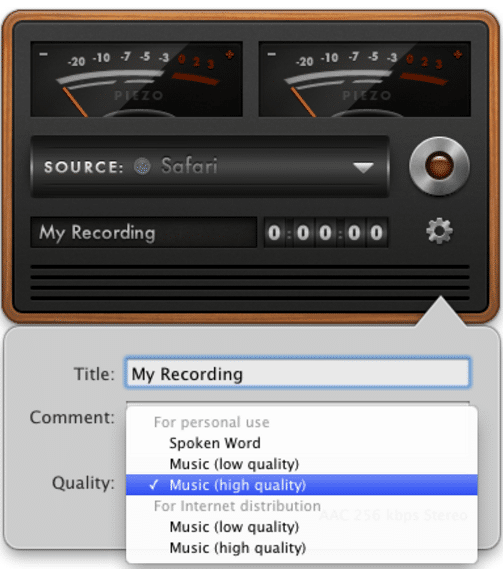 This is one of the best software recording application that Mac uses since it does not require much configuration. Piezo can record from Skype and other application with much ease. It is even able to save your audio records to other inputs for easy editing. This is a simple yet in expensive application to use. 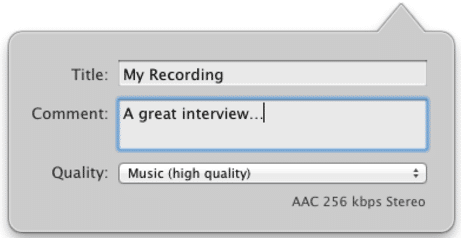 Even after you are done with your recording and saving, you can be able to open later so as to review the quality of your recordings or even rename it. This is the software application that is appropriate for easy recording. It is designed for simplicity, therefore, making it a snap for recording audio. It is also eminently affordable. As low as 19USD, you can be able to purchase this software application and have it on your Mac PC. Presence of a charming interface that makes it fun to record. The end user can also be able to save from the web by setting a browser such as Google chrome. If you happen to have a movie that is playing in the video player, you can be able to instantly record it. In built time recording schedule. Recording made simpler. Piezo offering easy recordings means less worrying about your settings. Cannot be able to capture all audio recordings from your systems at once. Rogue Amoeba Piezo is not aimed at recording more in depth videos. Currently, No real time audio processing adjustments and effects. Expanded metadata tagging options for recordings still in work progress. 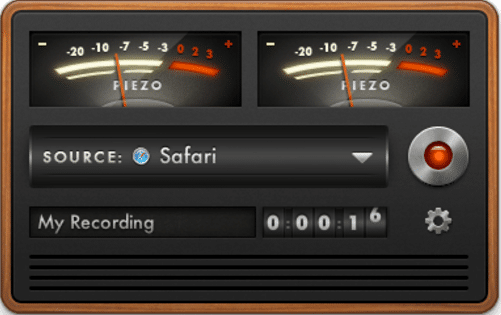 The software has a self-explanatory interface with a pair of VU-style metres which looks like an 1970s cassette recorders. The functionality is simple and the vintage design elements supports the recording in the best way possible. It has a drop-down menu with options to record all recongnisible devices with the Core Audio configurations. These includes Mac Built-in Input and the Microphone. Other external hardware with Core Audio drivers can also work with this tool. There is an action button that looks like a cog. This is where you text the name of the recording, add comments and also choose the previous recorded files. When you click “For personal use” you choose “Spoken Word”, Music “high quality”, and Music “low quality respectively. The above creates 64 kbps, 128 kbps and 256 kbps AAC files. When you proceed to “For internet distribution”, the options are Music “low quality” and Music “high quality”. This gives 128 kbps and 256 kbps MP3 VBR files. It is important to note that this application works only for Mac users. All you have to do is to download the application from the Rogue Amoeba Piezo website and install and you will be good to go. Its unique features such as able to capture any audio or video from any application that is playing on your mac, recording things like music that is being streamed live. You can be able to plug in your headphones/earphones and still get to record your music and audio as well as videos, additionally, you can actually be able to record movies that are playing from your VLC media player, and record from skype within an instant. All these and more features makes this software application one of the best in the market.